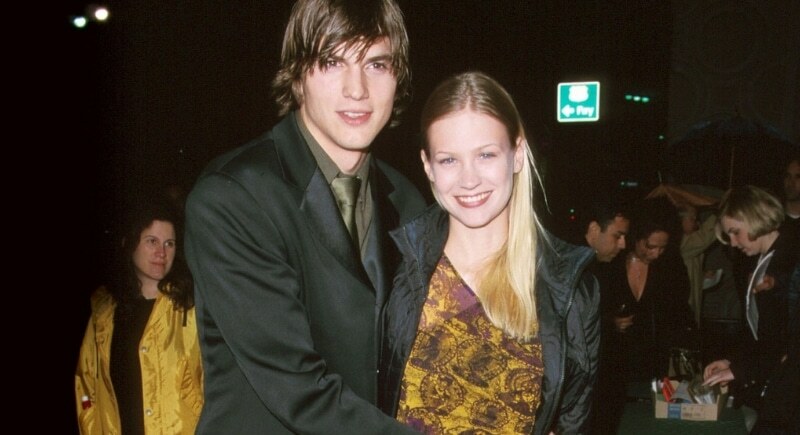 Before January Jones shone in role on Mad Men as Betty Draper, she was an up and coming actress dating Ashton Kutcher. Though the two were together from 1998 to 2001, Jones told GQ magazine in 2009 that a past boyfriend, whom many believe to be Kutcher, “[He] was not supportive of my acting… he was like, ‘I don’t think you’re going to be good at this.’ So, f–k you!” When asked to clarify if Jones was referring to Kutcher she simply shrugged it off and laughed, purposefully keeping quiet. In 2003 while filming Just Married, Brittany Murphy and Ashton Kutcher became a couple. They were a lovable couple, both so hilarious and bubbly. The romance didn’t last long, however, and the two broke up shortly thereafter. In December 2009, Murphy tragically and suddenly passed away due to pneumonia. In an interview after her death, Kutcher said, “She was like the person who walked in the room and she was always the first person to dance. And I just try to connect to that and celebrate who she was and how she was, and not make sense of it, ’cause there is no sense of making sense of it.” Well said.